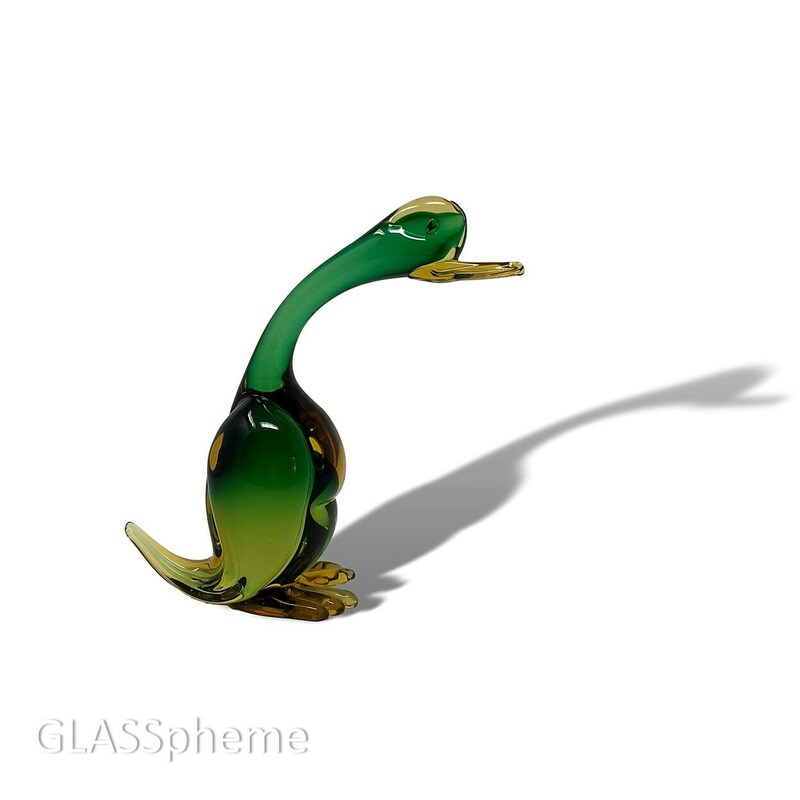 Feast your eyes on this documented* mid-century Murano glass duck by the master, Archimede Seguso. 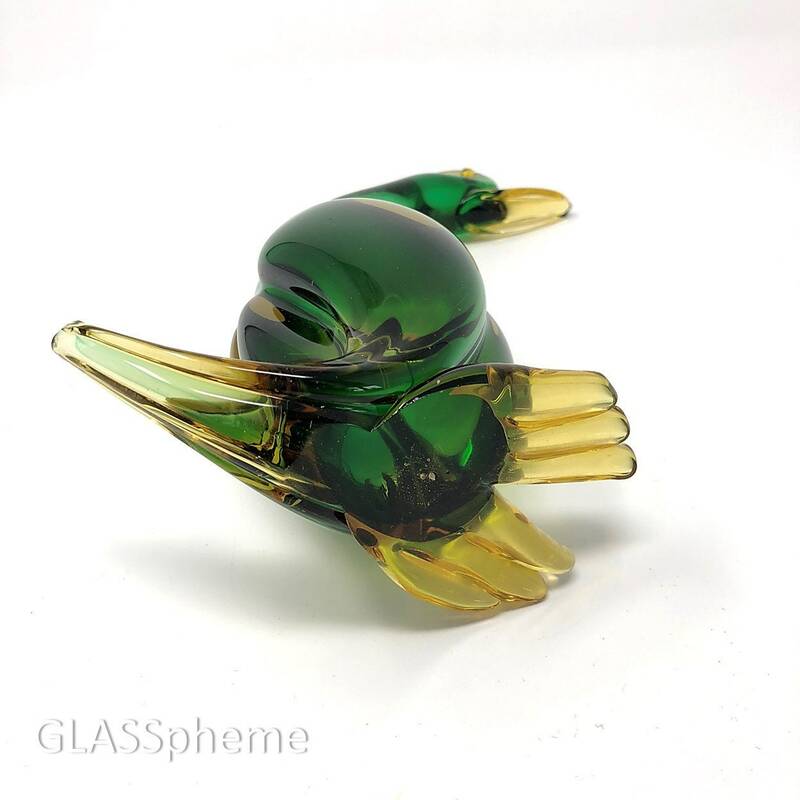 Notice how the colors on the body meld perfectly into one another in a seamless blur? 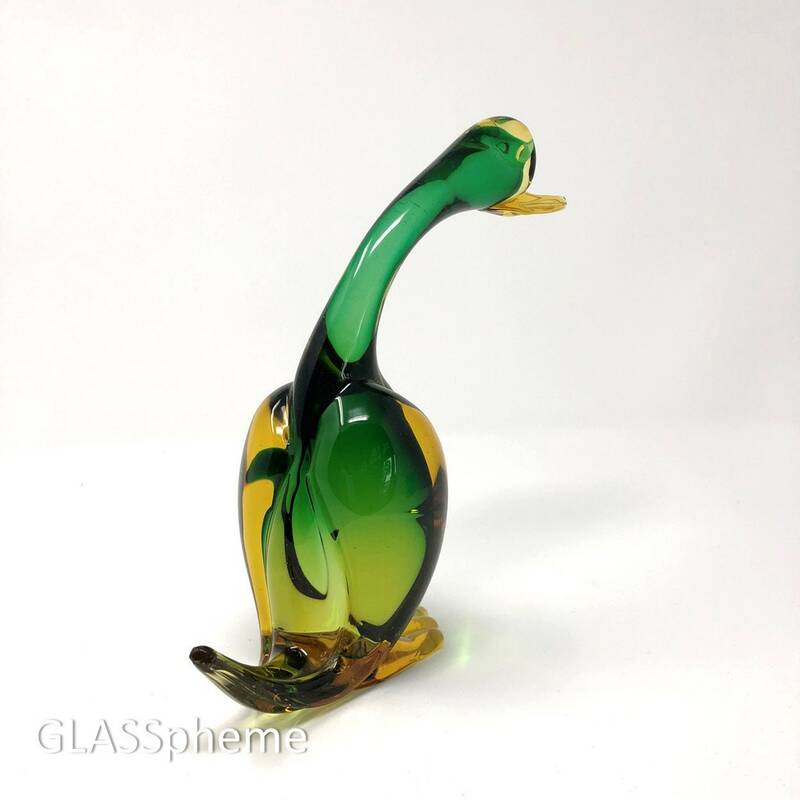 That's one sure way to tell true Murano craftsmanship from the hordes of China-made imitations that comprise the MAJORITY of Murano glass sold on eBay. 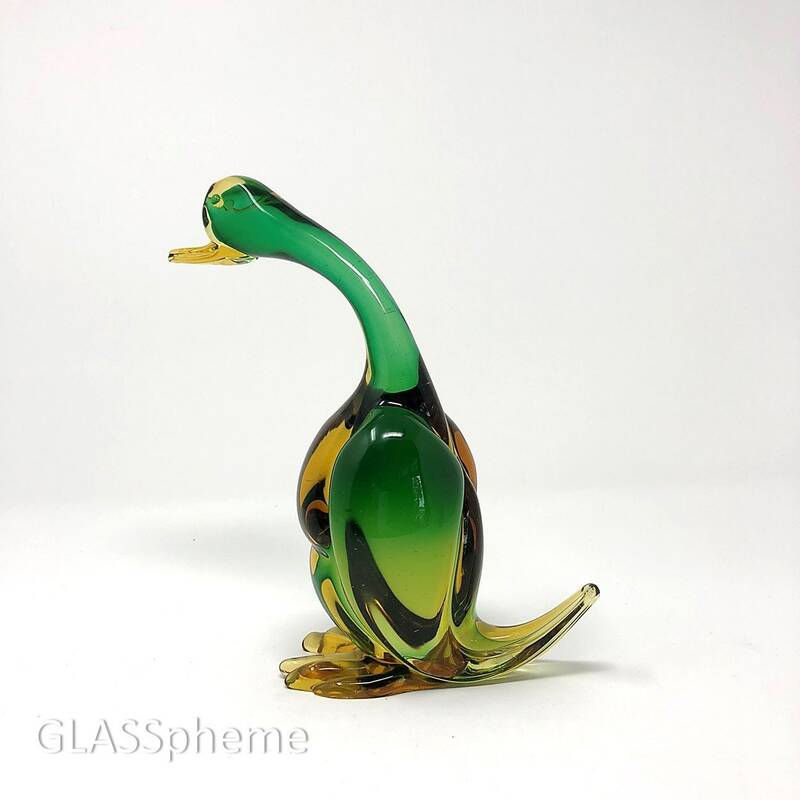 (Search "Murano birds" on alibaba.com and you'll quickly see how China-based glassblowers have come nowhere near to being able to pull off this kind of work!) 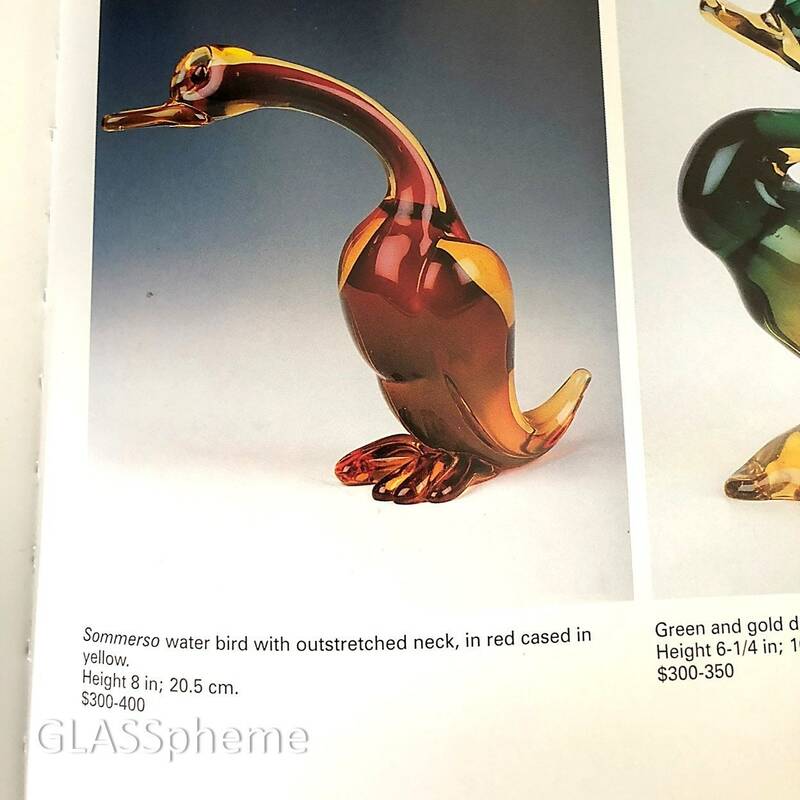 Of course, Archimede Seguso wasn't just known for his advances in the alchemy of glass, technique, and craftmanship, but also, for his playful, fanciful, even comical animal figurines. 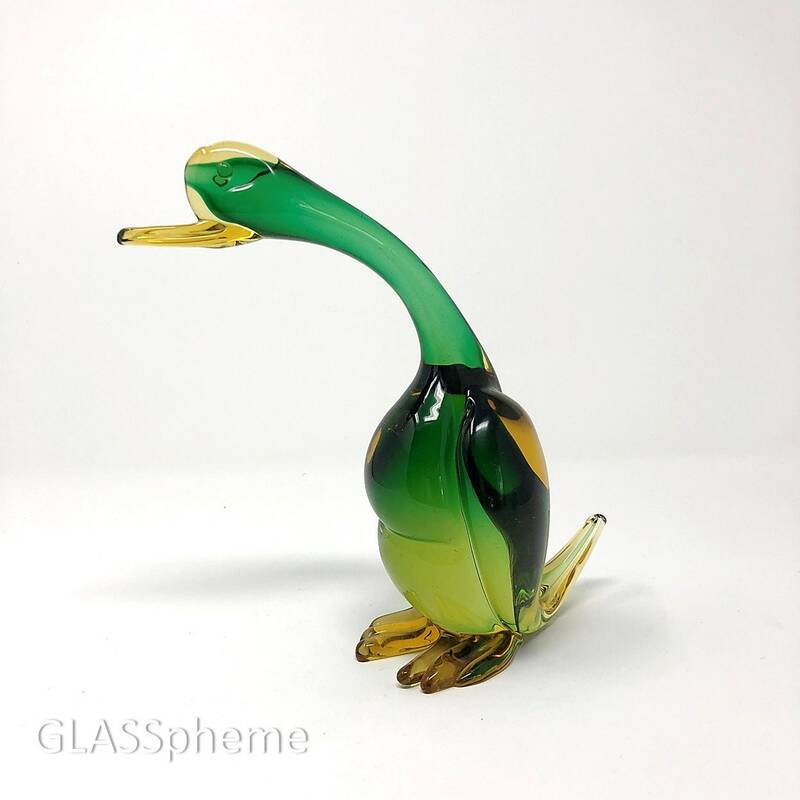 This piece is a perfect example of that.